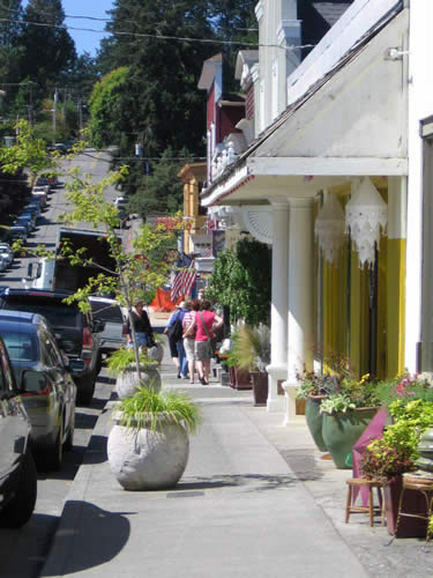 Click on the photo above for a video to see what makes South Whidbey special! 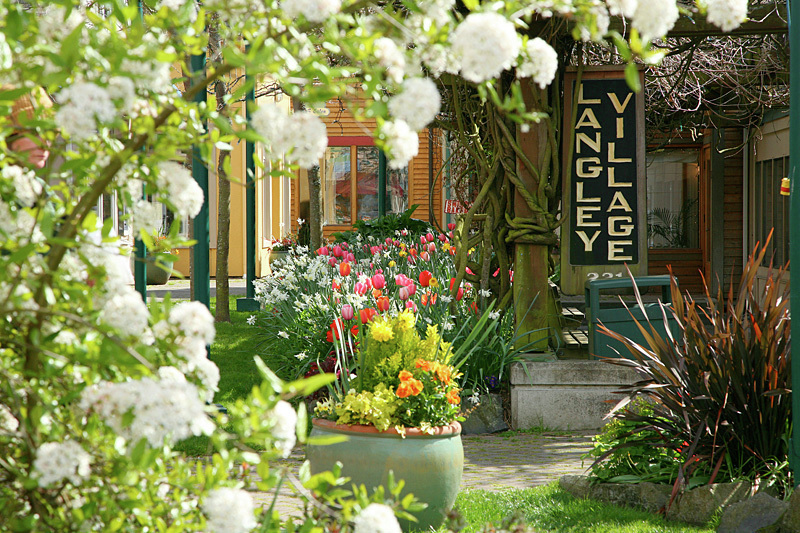 ​Langley is located a short distance from The Quintessa and is home to the quaint and beloved movie theatre, The Clyde. Popcorn is still only $1! Mystery Weekend Mystery Weekend is a yearly event occurring the last weekend in February. A fake newspaper story is run in the South Whidbey Record or a fake newspaper can be purchased from the Visitor & Information Center, detailing the persons involved. The players are instructed to search every store for a box of cards, with a clue to the mystery printed on each card. Various locals play the parts of characters in the story, and players are invited to question them for information. The players who believe they have solved the game may submit their solutions and enter into a drawing of prizes. Welcome the Whales Day and parade happens in April. Island County Fair is hosted on the last weekend in July. This is one of the biggest community gatherings of the year. The fair has such a local impact, that Island Transit will run special shuttles between Langley and the Clinton Ferry, as well as Shuttles between Oak Harbor and Langley, and extra ferry trips on the Clinton to Mukilteo run routinely at several hours. Djangofest NW is held in September each year. This five-day festival celebrates the gypsy jazz style of Django Reinhardt, and features workshops, concerts, and impromptu jam sessions around town. Located a little further up the Island is a "Can't Miss" stop right off of State Route 525 (GPS: 765 Wonn Road, Greenbank, WA) Greenbank Farm is sit on over 500 acres of rolling fields, wetlands and forest. It's a great place to stretch your legs. Pet friendly, too, so be sure to take your four-legged friends onto a special trail that includes an "off leash" fun run. The view from a ridge running through the farm is a special treat as it offers a 180-degree panoramic view featuring the Olympic Mountains and the Strait of Juan de Fuca. On most days, you can also see the Cascade Mountains, Saratoga Passage, and the entrance into Holmes Harbor and Mount Ranier. 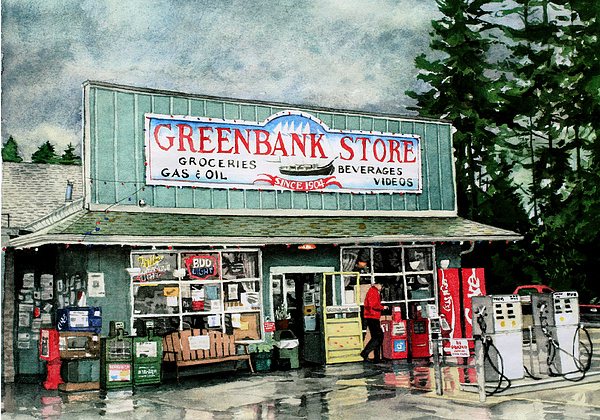 The Greenbank Store is both a landmark and a community hub offering the community, and tourists alike, groceries, deli soups & sandwiches, and gas since 1904. The little Post Office adjacent to the store is a great place to get postage and mail off a post card to written to a friend during your pit stop. Be sure to get directions to some of the other places to visit near by while in the area.